More and more studies show that acupuncture is a great way to treat chronic neck pain. Acupuncture is based on the belief that there are more than 2,000 points on the human body that connect with 20 meridians. These 20 meridians conduct energy throughout the body. 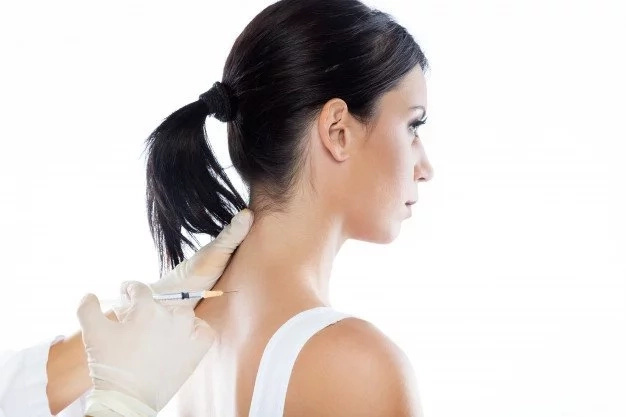 This procedure uses thin needles and places them in specific combinations of these 2,000 points to fix the body’s flow of energy and reduce pain. You should try the procedure of acupuncture; just a few sessions will help you get rid of neck pain. Incorrect sleeping position or your old pillow can cause neck pain. To avoid neck pain, you should sleep on your side or on your back. As for the pillow, the best variant for your sleep is a feather pillow or memory foam pillow that easily conforms to the contour of your head. Hydrotherapy or water therapy exercise is a great option to reduce neck pain. Water exercises will help you increase the range of motion and ease the pain in the neck. Some studies have shown that people with chronic neck pain experience significant relief after Pilates exercises. Pilates moves can help you stretch out the neck and spine, while the full-body roll up increases strength throughout your spine, neck and ab muscles. Pilates is a great solution for people who suffer from neck pain. You should know that ice is better for injuries, while heat is great for muscle sprains or spasms. 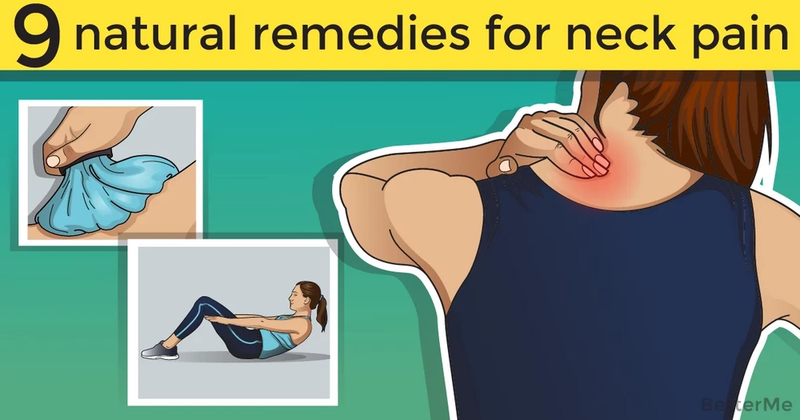 Therefore, before using this or that remedy, you must determine the cause of neck pain. We all know that water is the key to our overall health. What's more, drinking plenty of water can help you alleviate neck pain. The thing is, the discs between the vertebrae in your spine require water to maintain spinal alignment and take pressure off the spine. You need to make an appointment for a massage, because this is an excellent solution for reducing tension and breaking the fascia in your neck. Do not even think about its effectiveness, it's worth to try. Stretching can help you fix neck problems. Just try practicing some simple yoga poses that can help you reduce neck pain, and also open up space in your head for more oxygen. Worth trying. In case you have tried the above-mentioned methods and not one of them did not help you, you need to seek professional help. We recommend you chiropractic care. Chiropractors work by making manual adjustments to your spine; this is an excellent solution that can effectively fight the neck pain.